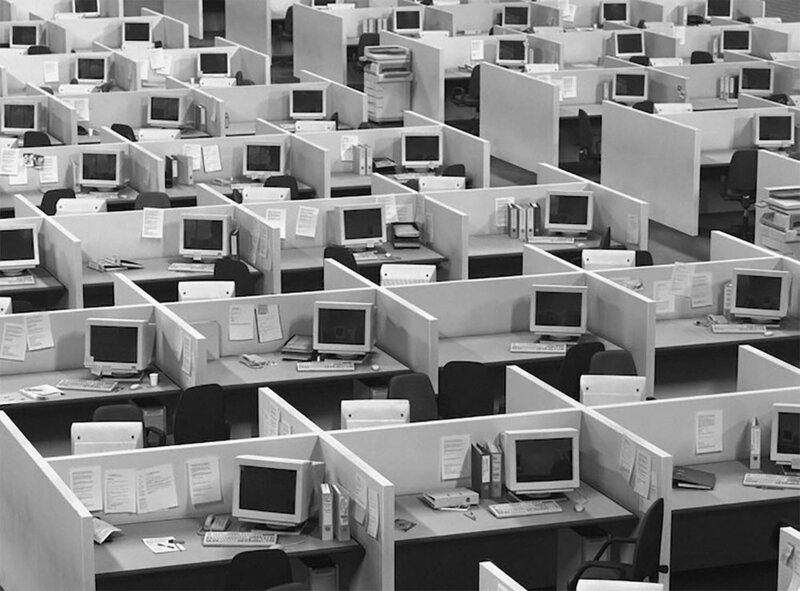 Is open plan office design is dead? It is, if architectural blogs are any indication, currently they seem nostalgic for the isolated cubicle of the 90’s sitcom era. I think it would be a crime to go back to the isolated days of seething frustration and four white walls of impenetrable partition. You can have both good and bad design in all things in life, and this includes open plan offices. User Centred Design is still not as prevalent as it should be. At times being what the designer wants to give you and not what you need, or want. 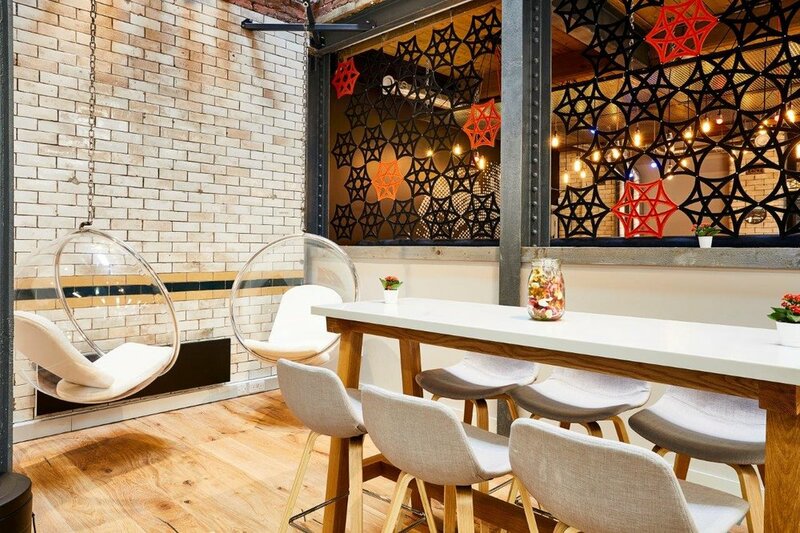 To break this myth that all open plan offices are unproductive places see below my top pick for great corporate and co working offices with the open plan aesthetic that are still great places to work. Carrying on our around the world tour, we stop in Philadelphia for a controversial places i our top open plan workspaces. The Urban Outfitters Corporate Campus in the old navy yard. Why controversial? I usually turn from tall warehouse work spaces and run as fast as I can! The hyper tall ceilings and overly cavernous, echoing interiors sap my focus and concentration and I end up giving all my energy to the space instead of my work. However, I would love to take a trip to Philly to see this campus. Some people will still maintain that open plan is dead. 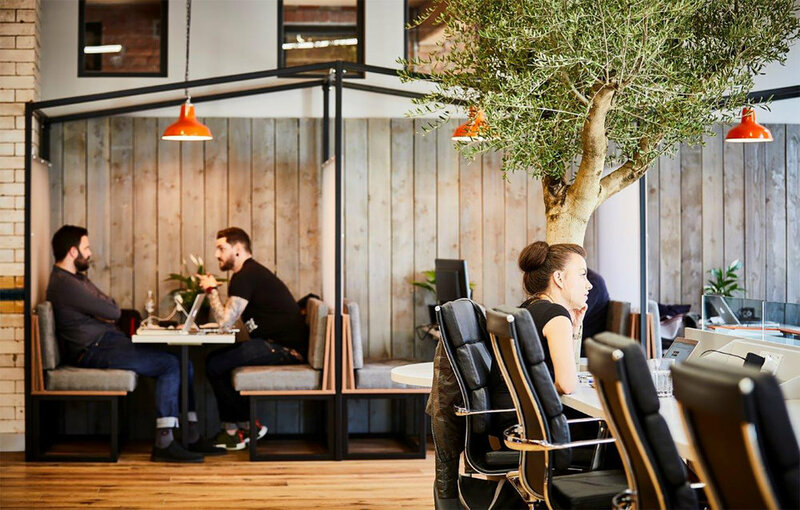 I believe that open plan offices will improve exponentially as we focus more on the people using them, and take into account the universal factors that can make all offices great. 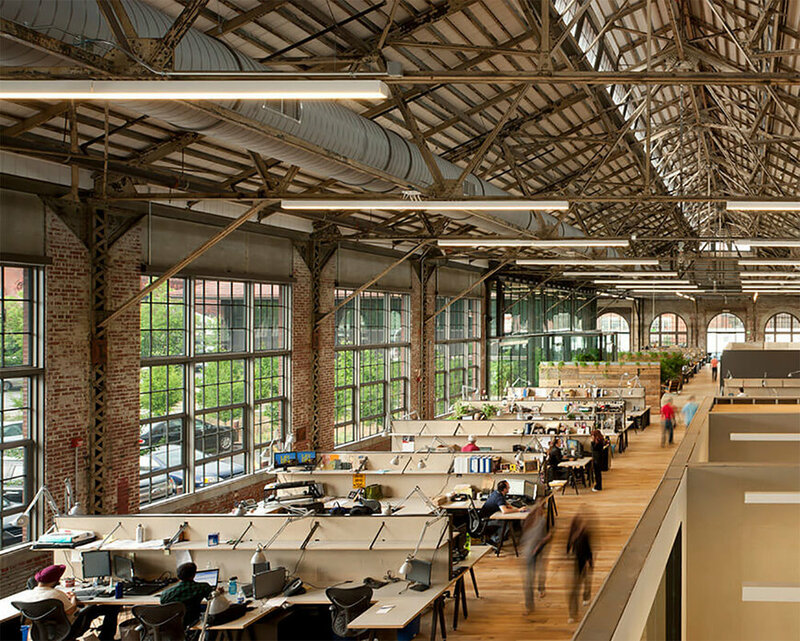 We will have more on that in our next post, ‘How do we design better workspaces?’. Thanks for reading! If you found this post useful check out our others or browse our resources page for helpful tools. Thank you for joining our newsletter! Please click the link in the email to confirm.